All personal injury claims in Florida have two basic parts: liability and damages; or, who is responsible and to what extent? If a person or business is responsible for your injury, you may be able to seek compensation by filing a personal injury claim at Heintz & Becker, located in Bradenton and Sarasota, Florida. At Heintz & Becker, our local experience with personal injury allows us to pursue maximum compensation in the most complex Florida cases. We know where to look to find insurance coverage and assets. We know how to build effective strategies that hold up in a courtroom if a case goes to trial. We have even made recoveries from insurance companies that claimed only to provide property damage coverage. 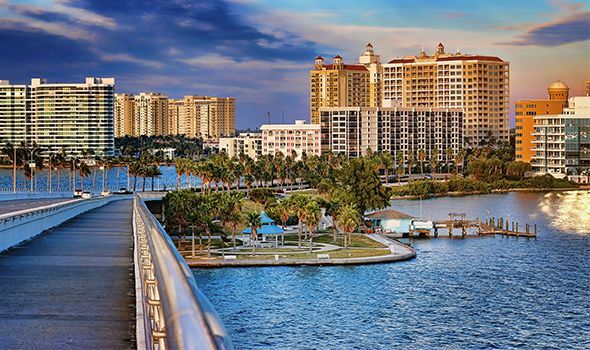 If you’ve been injured in Florida, the injury attorneys at Heintz & Becker want to hear your story. Call 941-748-2916 for a free consultation today. We don’t get paid unless we get you results! In Bradenton, Sarasota, and throughout other parts of Florida, motor vehicle accidents are the most common cause of personal injury and wrongful death. In 2015, for example, nearly 3,000 drivers died on Florida roadways. 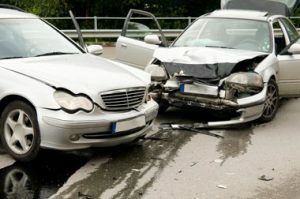 Our lawyers handle all types of auto accident cases including car accidents, commercial vehicle and truck accidents, motorcycle accidents, drunk driving accidents, as well as bicycle and pedestrian accidents. At Heintz & Becker, we handle sensitive cases involving serious injuries of all kinds. We also represent people who have lost a family member due to wrongful death. Our compassionate attorneys are here to provide you relief. If you have questions about an injury or a negligence case, we want to hear from you. Call 941-748-2916 for a free consultation; or, tell us what happened online to get started today. Our clients are people of all ages, from children to senior citizens. When we take a case, we pay close attention to the victim’s needs and we work hard to provide solutions and relief. Injuries impact lives differently and, from a legal standpoint, there are unique issues that may need to be addressed such as establishing guardianship or settlement planning through structured settlements or special needs trusts. Insurance issues come up frequently in the cases we handle. One of the more unique and challenging of these issues is bad faith insurance. Fighting insurance delays, denials, and refusals is our specialty, and we’ll work hard for you and your family until justice has been served. When Should You Hire a Florida Injury Attorney? As in other states, Florida’s statute of limitations sets restrictions on when a personal injury claim must be filed and caps on compensation that’s available to victims. Under Florida’s statute of limitations for personal injury cases, victims have four years to file a person injury lawsuit in civil court from the date the injury or accident occurred. Florida follows a pure comparative negligence rule that says victims can potentially be at fault (or partially at fault) for injuries claimed in a personal injury case. Obtaining a Florida personal injury attorney can help ensure these deadlines and complicated fault rules are understood and properly handled. Car accidents follow an entirely different set of rules, or the no-fault car insurance system. For example, most minor traffic accidents are compensated through the driver’s own insurance coverage, and accident victims can’t sue another driver for these minor damages. However, if the accident resulted in “serious injury” a plaintiff can bring a suit against the other driver. Don’t attempt to navigate the complicated waters of Florida personal injury law alone! Without effective counsel victims could miss the window to file a claim completely, or underestimate the value of a claim. Standard injury claims do not have strict damage caps for most types of injuries and losses in Florida. The facts of your case will ultimately determine what compensation is available to you, and working with a reputable Florida personal injury lawyer is the best way to ensure you get the compensation you deserve. Remember: We don’t get paid unless we get you results! To discuss your case with a Sarasota personal injury attorney, call us at 941-748-2916 or tell us what happened online to get started now. If you are unable to come to us, we can come to you!